Feel free to pin it on Pinterest! Let me just say this is hands down the best mac and cheese I have ever made. I followed the steps exactly and used my new Instant Pot which, if you like to cook, is awesome! Now I'm gonna eat my lunch, and I bet you can guess what it is. While not the most healthy, you'll need to use the heavy cream if you want the creamiest sauce possible. 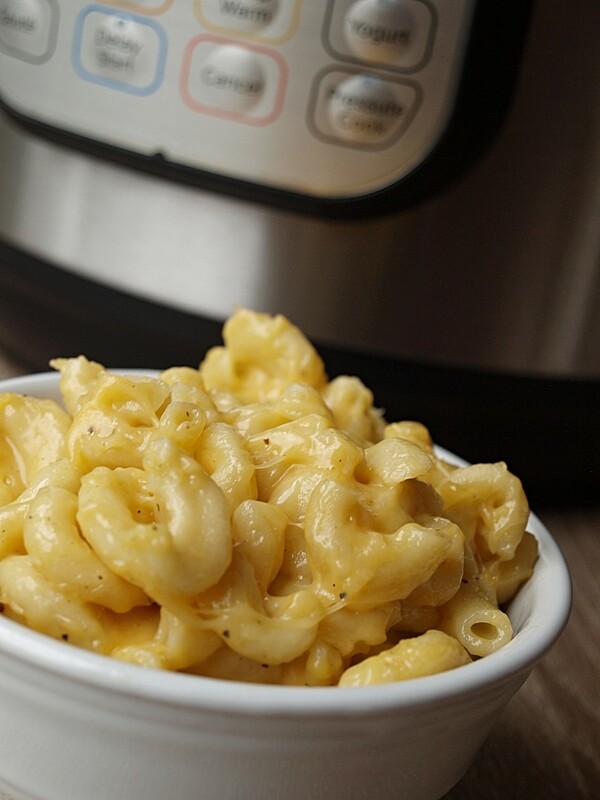 Place the macaroni, chicken stock, cream, salt, and pepper into the pressure cooker. Set your pressure cooker to high, and set timer to 7 minutes. (I think this time is perfect, but you may want to adjust it depending on how "done" you like your macaroni). Once the timer goes off, let the steam out of the pressure cooker according to your machine's directions. Add the butter, milk and cheeses to the pot and stir. Voila . . . best macaroni and cheese ever!! The best thing is that, even after working two jobs, I have been able to make quick dinners in 10-25 minutes! Simple, fast, and delicious. I found some great recipes online, but the best recipe came from my mom. This is a recipe she got from a friend, and it has turned out to be my favorite. A true comfort food that can be turned into a dinner or just a simple and delicious side dish, this macaroni and cheese will be one of your go-to recipes. Bring it to a potluck dinner, a friend who needs some cheering up, a luncheon, a BBQ, or just make a bunch for yourself. It will be gone very quickly, that I promise! Some people like more peppers, other people like less! While it's not an exhaustive list, here are some suggestions that you might tweak. How Can I Spice Up My Mac and Cheese? 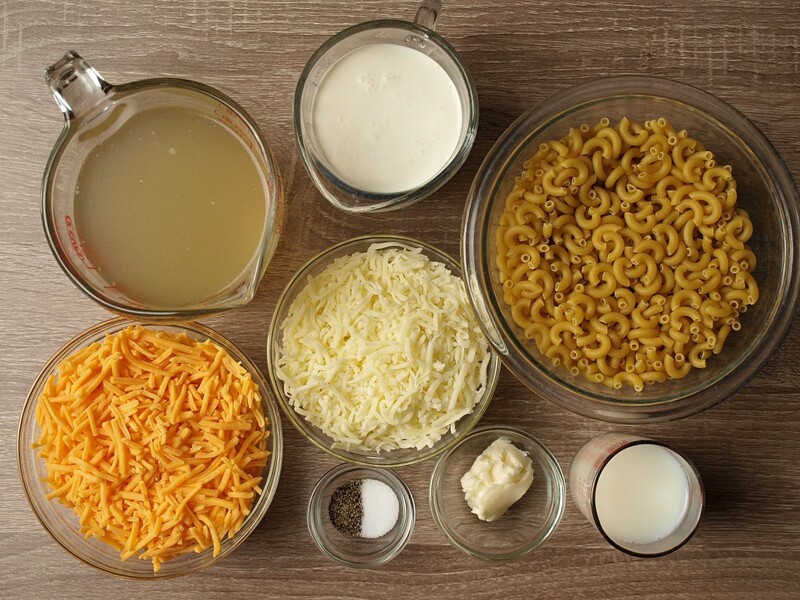 If you're looking to add a bit more character to your mac and cheese, try these suggestions. Awesome Joe!! So glad everyone enjoyed it! ABSOLUTELY THE BEST EVER. I made this first for our daughter and a few of her friends for a sleepover.....they literally finished it ALL!!! So, the next time I made it for our kids...I quadrupled the ingredients and added some fresh diced hatch green chilies and it was perfect. 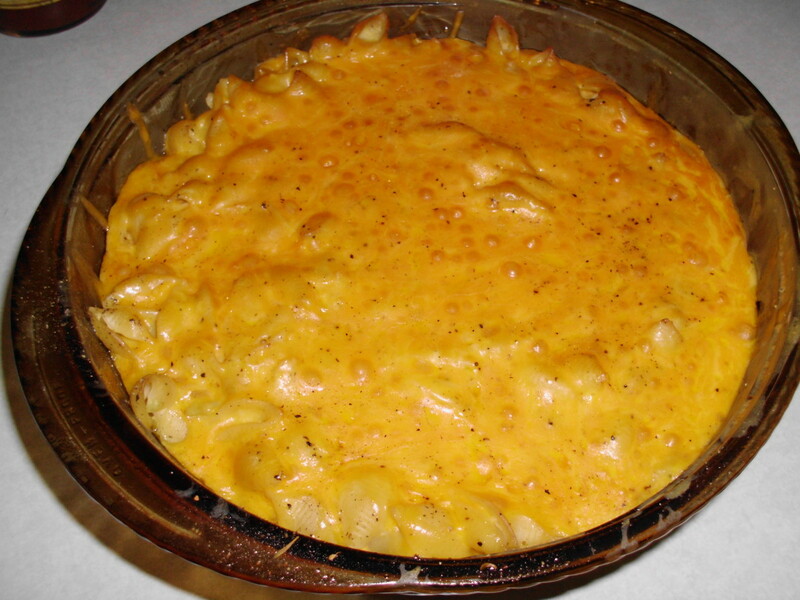 I have never really cared for mac and cheese, but I crave this!!! 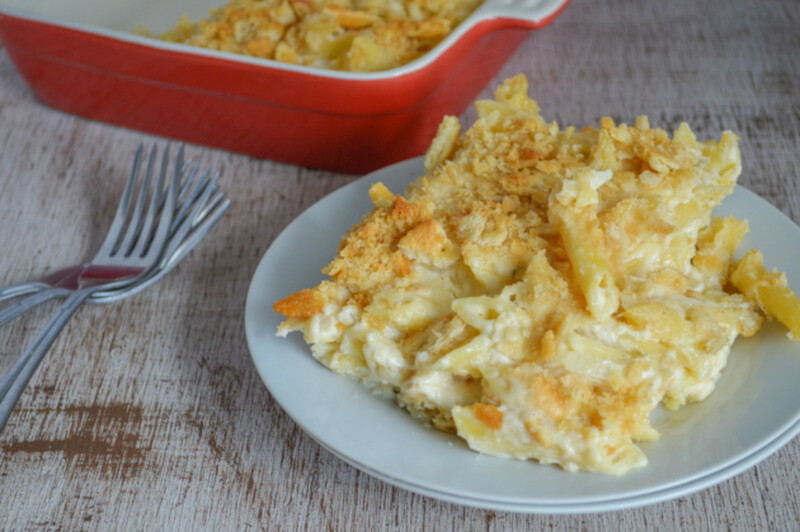 So easy and creamy and cheesy (cheese is my favorite food group)! Thanks so much! Glad you liked it! I found 7 minutes on my cooker to be perfect. It does thicken up after you add the cheese and as it sets. Thanks for the great suggestions! I made this last night with a few changes. I used 2 cups sharp cheddar and 1 cup mozzarella ( both Sargento) and instead of 1/2 cup of milk I used 1 cup half & half. It turned out amazing. Yum!! Awesome just the way it is. Made it several times. Thanks for great recipe. I just made this and it's delicious! I used 1 Tbsp chicken bouillon to 2 cups water and 1 cup heavy cream, no salt or pepper at this stage. I put the liquid in first, then the macaroni and stirred it. I set it to cook for 6 minutes and released the pressure immediately. It was still a little saucy so didn't add any milk, just cheese to the correct consistency. Then I added fresh, cracked pepper over the top. Yum! I’ve made this a few times and it is good. My only issue is the dairy curdles every time. I follow the directions exactly. Any advice? Thank you!! I'm so glad you loved it! I'm following the instructions but the pasta is cooking and the liquid in the pressure cooker is still there. Any help? I just made it and the macaroni STUCK to the bottom. My ingredients were exact and it was under pressure seven minutes!!! I'm amazed, first time making mac & cheese in pressure cooker, won't be the last !!! So easy and quick and best of all Good !!!! I plan to try this recipe. I notice it has 7 minutes cooking with quick release. Most other recipes I have seen have 3 minutes plus 5 minute natural release. Are these pretty much equivalent to one another? What difference should I expect between the two? Is the difference because of the heavy cream in the cooking sauce? With respect to the latter, I have also read articles elsewhere advising against using milk in the cooking process in a pressure cooker? How does it work here? Sounds delicious! I love the addition of chicken! 2 chicken breast cut into cubes. 2 tablespoons of Braggs liquid soy. Saute the chicken pieces for 3-5 mins. Once the timer goes off, let the steam out of the pressure cooker according to your machine's directions. Add the butter, braggs and cheeses to the pot and stir. Voila . . . Best macaroni and cheese ever!! Hi Theresa! I'm sorry to hear you had a problem with the time. I have always done 7 minutes in my pressure cooker and it comes out perfect. Perhaps it is a difference in manufacturers. Hope it turns out better next time! Maurie - I have never doubled the recipe but would think it would be the same. Let me know if you try it! Like ingredients, but the time was way off to get the macaroni cooked. Maybe needed more liquid, because stuck to bottom and not nearly done. Added 1/2 cup stock and 1/2 cup 1/2 n 1/2 and cooked another 3 minutes. I started at 8 minutes. Hoping cleanup won’t be a hassle. So next time I will start with 3 cups of stock/water and cook for 11 minutes. Other than that, tastes great. I am making for a large group and have an 8 QUART pot, can I double the recipe? Do cooking times change? Hi bearmtnmama - not a silly question at all! You put all the ingredients right into the pressure cooker pot. No need to use a steamer rack or additional water. Hope that helps! Did anyone else have the cream that is called for before pressure cooking curdle? Maybe just substitute more chicken stock and skip the cream? I don't want to lose any of the creamyness if there is a trick around this problem. I tried this recipe the other night!!! Yummmmmm is all I can say!!! 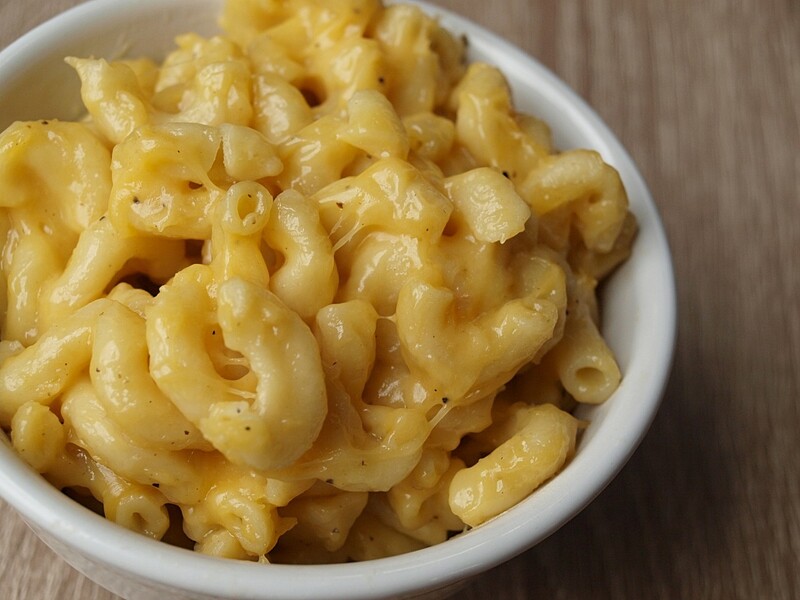 This is the best Mac and cheese recipe that I’ve found for the Instant Pot!! And easiest!!! Ty for posting!! I have a habit of never following a single recipe, but making a mash-up of a few different versions. 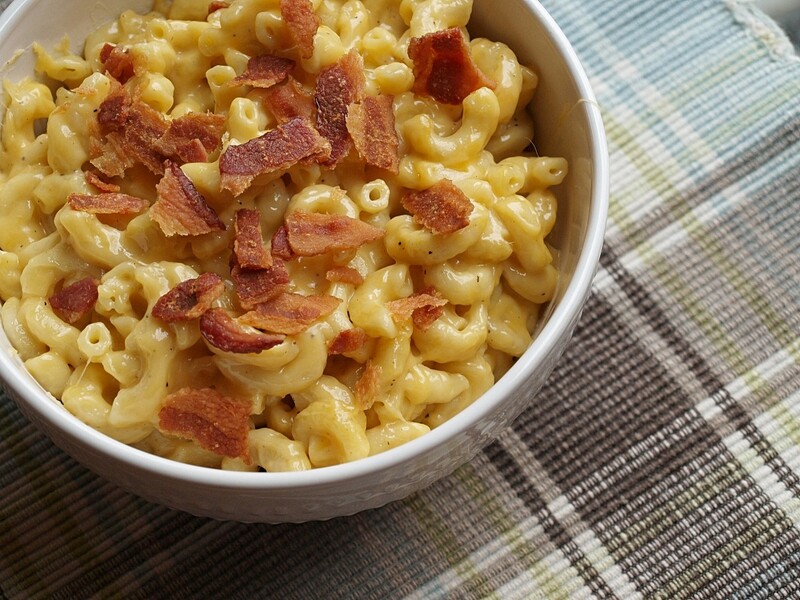 This mac & cheese recipe is good without any changes, but I just can't help myself. I added some additional spices (ground mustard, dill, Old Bay), used a mix of cheddar and jack cheeses, and included about 2 oz of cream cheese (makes it super creamy). Since I typically make mac & cheese as a stand-alone meal, with only a side veggie, I like to add tuna, chicken breast, or some braised pork. My small kiddos prefer the chicken, so that's the usual, but this is one of few dishes where they literally lick their plates clean, so I don't usually deviate. Mom win! 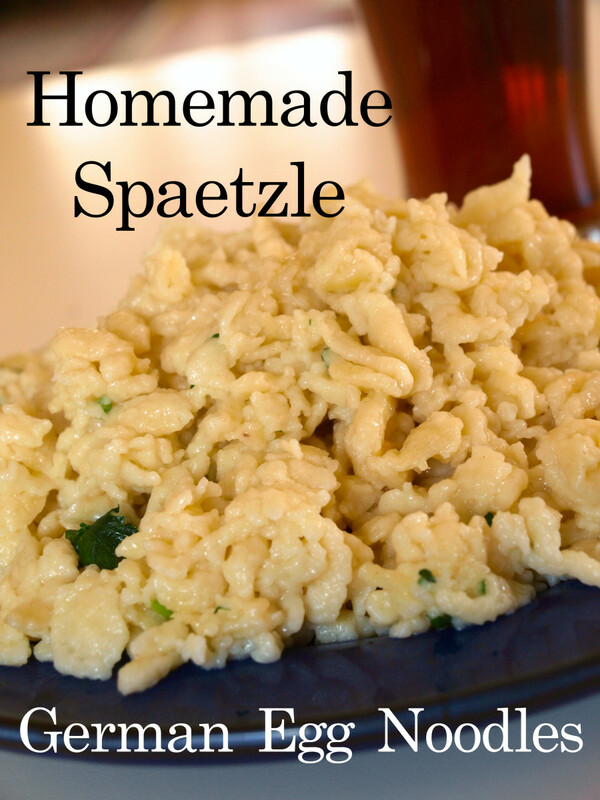 One of these days I'm going to try a version with some pepper jack cheese and sauteed poblanos. I love this recipe. I just tweak it a little. I use Better Than Bouillon so I can adjust to taste. I agree that the chicken stock is over powering, but without it, it is not as good. I also add a little powdered mustard to the bouillon. Otherwise, this is the best recipe I've tried. I've made it quite a bit too, always top it with some buffalo chicken on BBQ chicken. Awesome! Very good! Used only cheddar. Was a hit at a work luncheon. I made two batches of this for Christmas dinner and it was the hit of the night. You must use heavy cream for best results. I'm sorry, I wish I liked it but the chicken broth just ruined it for me. I just don't understand why not do it on the stove, it took me roughly 7-12 minutes that way and it was excellent. I used unsalted butter, light cream cheese and sharp cheddar along with raw cream. Salt/pepper. Thanks for sharing I'm gonna have to try it in the pressure cooker. Kihran...you can try copying and pasting the ingredients section into Microsoft Word and then printing. I don't think you can print just the recipe part, sorry. Or sometimes I just screen shot the sections I need with my phone and use my phone or iPad as I cook. Hope this helps! How can I just print the recipe? I don't want to print the whole article. I have made this soo many times!! My family loves it with Bacon in it. When I am making it just for me I add Broccoli!! such an awesome recipe Thank you!! 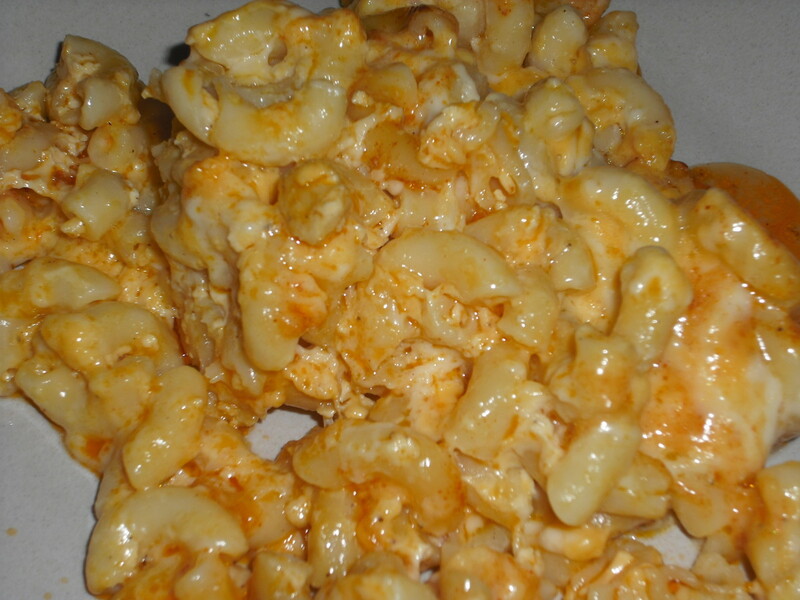 I have Mae this a million times this is the best mac and cheese ever for sure and mac and cheese is my favorite!!! I have made this three times in the last 2 weeks. Yummy. To now make it grainy you must use heavy cream. 1/2 and1/2 or just milk will not work because the sauce will break. I also tried a recipe using all the ingredients and cheese at the same time. It did not turn out as well as adding cheese after pasta is cooked. 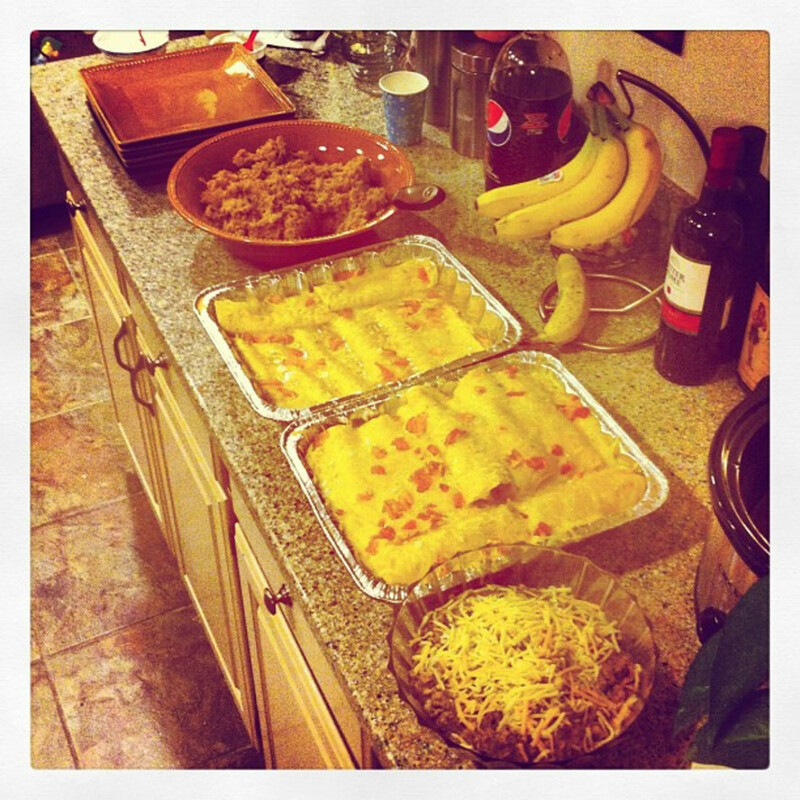 Made this last night and it was delicious! I used it in my Philly Cheesesteak Pasta and it was delicious. Made the Pressure Cooker Mac and cheese and at the same time I cooked up the beef, onion, roasted red peppers mixture. When both were done I mixed them together before serving. It was delicious and no processed cheese was used. 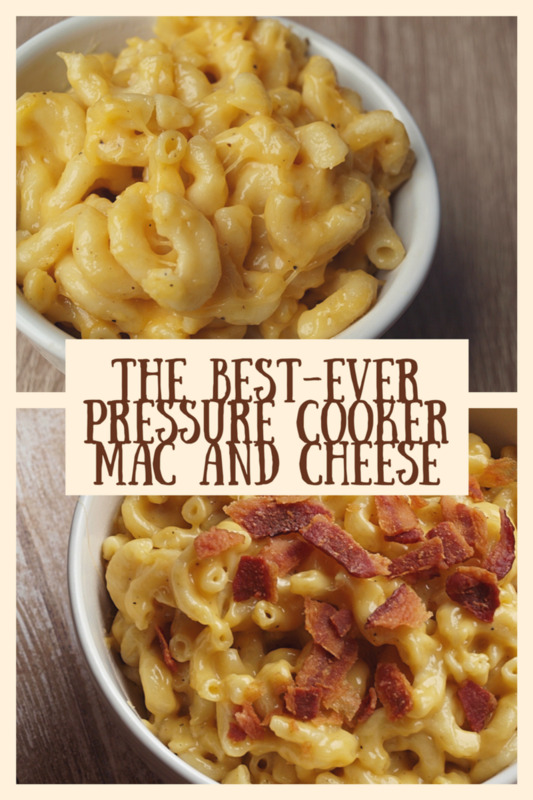 I will use the Pressure Cooker from now on for Mac & Cheese. Cut the pepper in half and there was more than enough. I might even 1/4 the pepper. I cooked my macaroni for 9 minutes. Once done it was good. 7:18 pm. Starting a pot of mac and cheese. I will check back in about 30 minutes and let you know how it turned out. Wish me luck. I've only used my pot twice since I purchased it. Oh no, so sorry to hear that :( What cheeses did you use? I'm sorry I haven't tried that. If you do please report back! Thank you so much for that great tip! I look forward to trying this. As a mac and cheese aficionado, I wanted to reply to the person who said hers was somewhat grainy. I used to have this problem. The key is to stir in the cheese off the heat. 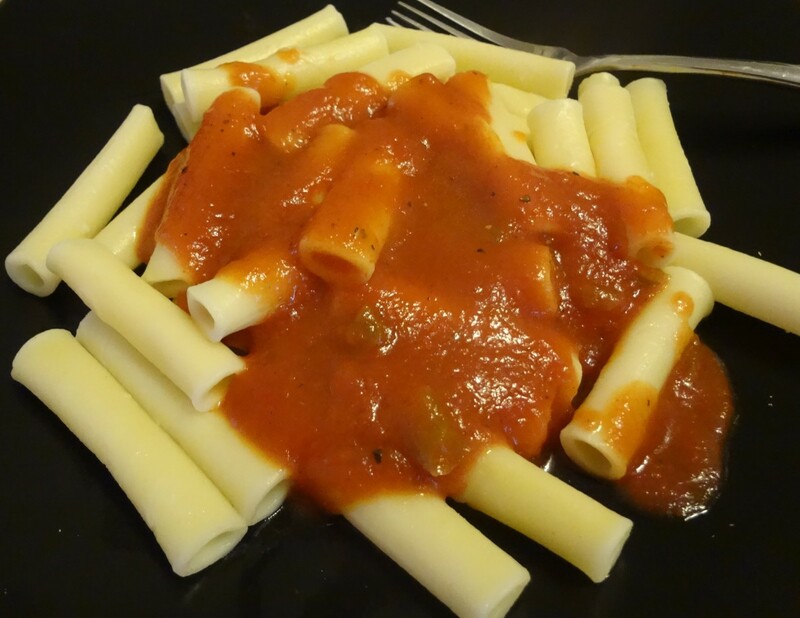 If the sauce is to hot when incorporating the cheese, it will get grainy. This recipe was wonderful. 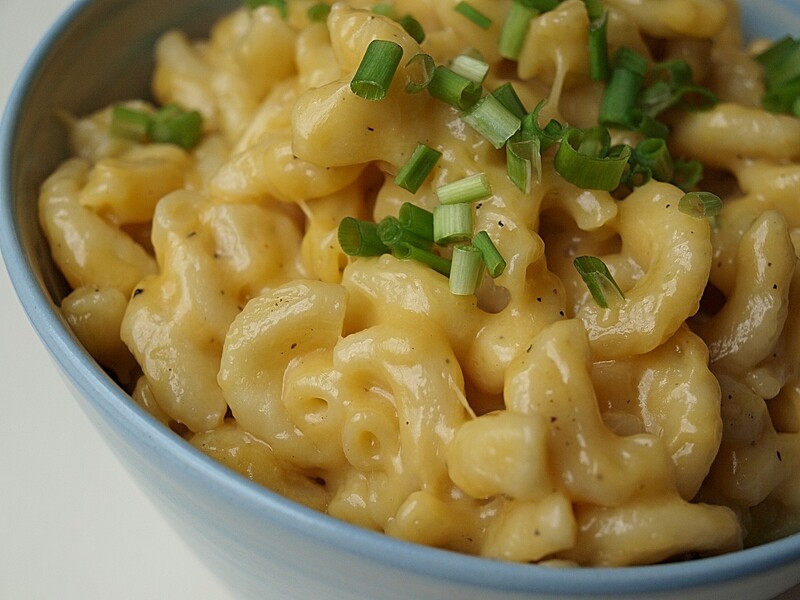 Everything about this mac & cheese was perfect, especially the ease and speed to make it. Thank you. To answer a couple of questions: I put my pressure cooker on the high setting. The pasta goes in uncooked and it cooks while under pressure. The time is for when it comes to pressure, my electric pressure cooker will count down once it gets to pressure. High altitude cooking takes longer because atmospheric pressure decreases the higher you are. When cooking in a pressure cooker, it is sealed and the pressure is independent of altitude so there is no need to adjust cooking times. That sounds great, never heard of it actually! I'm so glad you liked it! It really is now my go to mac and cheese recipe! Sorry to hear that! Make sure you use a full fat cheese and not a low-fat or fat free. New to pressure cooking, these ingredients turned out perfect for the cook on the pasta. I used cheddar and Cougar Gold cheese (because Cougar Gold is freaking delicious) and it is SO good! Usually make homemade with roux so I was apprehensive about this method, but I must say this is the most awesome easy mac and cheese ever. I'm veggie so substituted chicken stock for vegetable broth. Thank you! Thank you for posting this recipe. It was very tasty but next time I will increase the time to 8 or 9 minutes as the noodles were chewy for some reason. Tasted good anyway. I threw some garlic bread crumbs on top afterward and put it under the broiler to brown. Yummy. Not sure what I did wrong. Came out kind of grainy for me. Will definitely try again. Thanks Holly for those suggestions! Glad you found it as easy as me! I made this today and it turned out really well! I used the Instant Pot and 7 minutes is perfect for the consistency of the pasta. I would suggest cutting down the salt OR using low sodium chicken broth. Also, for my own taste preference I will use half water and half chicken broth next time. Seriously an easy recipe! Shauna, I am so sorry...I have no idea!! Forgive me but I have never lived in a higher altitude area so I'm not really sure how that works! Approximately 4-6 depending on your serving size. Do I need to add more time due to higher altitude? I tried this recipe and followed it exactly. The mac and cheese was absolutely delicious. Noodles were perfect consistency, and the sauce was devine. 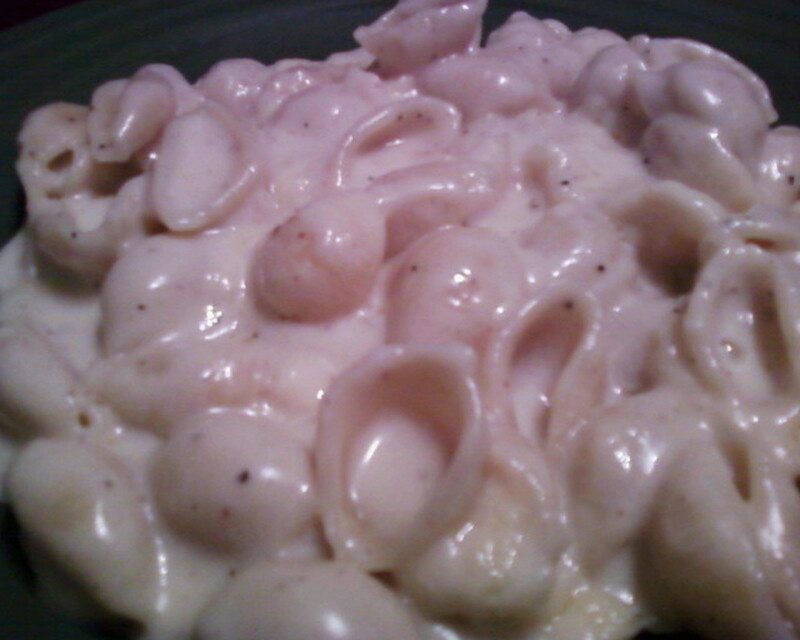 My mac was "whiter" in appearance though, and my black pepper was more visible than the picture you provided. Made no difference though, as the flavor was out of this world. Thanks a lot for sharing this recipe.